Walking with the Waodani is the latest resource from Home School Adventure Co. 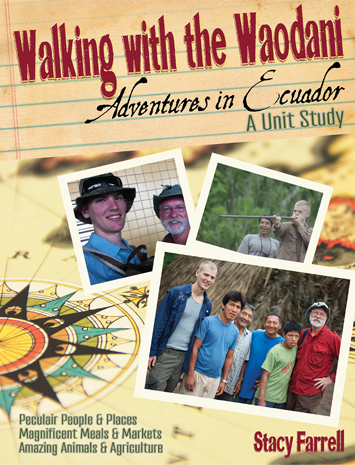 The Ecuadorian Unit Study is the story of Russel Winter and his adventures with Waodani people. The same Waodani people that killed five Christian missionaries back in 1956. We received the PDF version of the unit study. It has a tentative price of $14.95, with the physical book being around $18.95. The study will be four lessons long, however, at the time we received it, only three were finalized. My initial idea for the unit study was to have my 8th grader read it aloud to me, then the two of us discuss it together. But as we read it, I realized Walking with the Waodani is so much more than just a unit study. It’s a wonderful tool to teach our children about the great importance (and potential danger) of missions. It’s about showing the love of Jesus, forgiveness, and reaching all nations. I decided this was something that all of my children needed to hear. So, each day I read a page or two during lunch. Some of it was a bit above my five and six year old’s heads, but most of it they understood. My son Max particularly liked all the animal and food information. I mean, what’s not to love about piranha and eating Weevil Grubs??? Walking with the Waodani has also been a good way to show my children the “undiscovered people” of the world. My husband is from Brazil, and sometimes we talk about the people around the Amazon who live so differently than we do. The pictures and stories in this study have been a great help in that. When I first received the book, I printed everything out and put it in a binder. My younger children will still grab the binder and flip through the pages to look at the people, animals, and grubs. 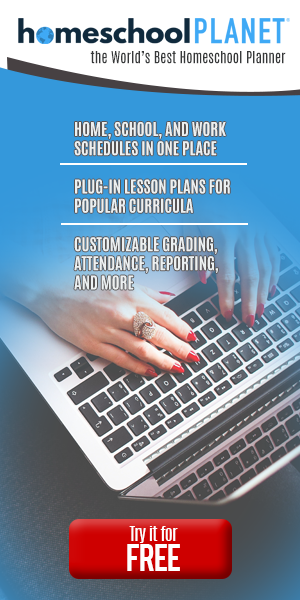 There is also a list of recommended resources in the back that includes links, books, and videos. This has been a wonderful resource to add to our school library. I like having the digital version so I can print out the pages I need for each child (important for large families)! I definitely recommend Walking with the Waodani to families everywhere. Just like her other products, Stacy Farrell has delivered another gem. Informative, fun, Christ-centered, and large family friendly!